Cars R Us LLC is excited to offer this 2015 Lexus RX 450h. This Lexus RX 450h offers all the comforts of a well-optioned sedan with the utility you demand from an SUV. This Lexus RX 450h 's level of quality is not meant for just anyone. It's meant for the person who strives for a classy, comfortable, and luxurious car. 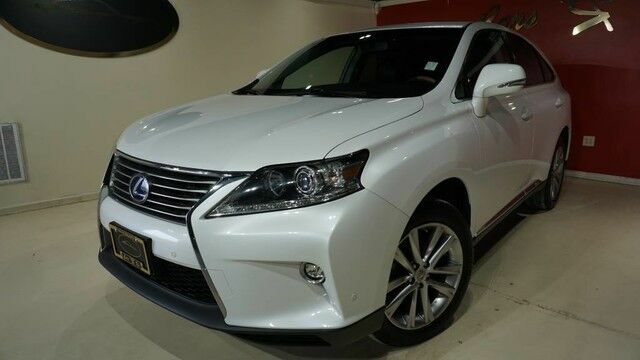 This 2015 Lexus RX 450h has such low mileage it has been parked more than driven. Added comfort with contemporary style is the leather interior to heighten the quality and craftsmanship for the Lexus RX 450h More information about the 2015 Lexus RX 450h: The Lexus RX us a luxurious crossover utility vehicle that stands out for offering an extremely comfortable, quiet interior with none of the rugged styling cues that are flaunted by some other luxury-brand SUVs. The Mark Levinson premium sound system in the RX is a standout, even among the others in the class. The RX family also has an excellent reputation for high resale value and long-term reliability. The RX 350 F Sport is the model to get for those who want more of a sporty driving feel in this family, while those who embrace technology may want to go with the RX 450h hybrid and its excellent 32-mpg city fuel economy rating. This model sets itself apart with impressive audio and infotainment systems, versatility and interior space, smooth ride, tight, quiet interior, Elegant look and feel, and excellent fuel economy with the RX 450h hybrid.